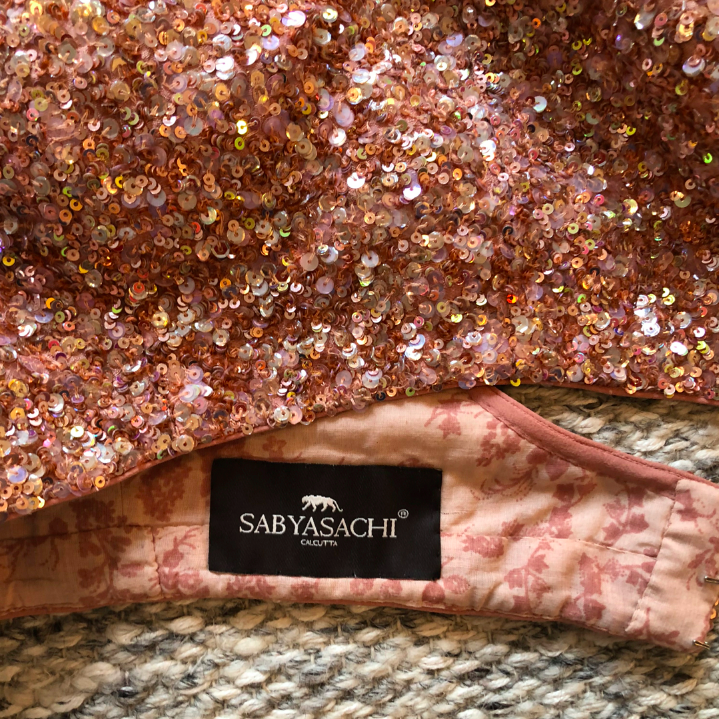 Currently, Sabyasachi is the most on trend, high end, beautiful Indian designer. His designs are extremely expensive, ornate, classic but trendy, and oh so beautiful. 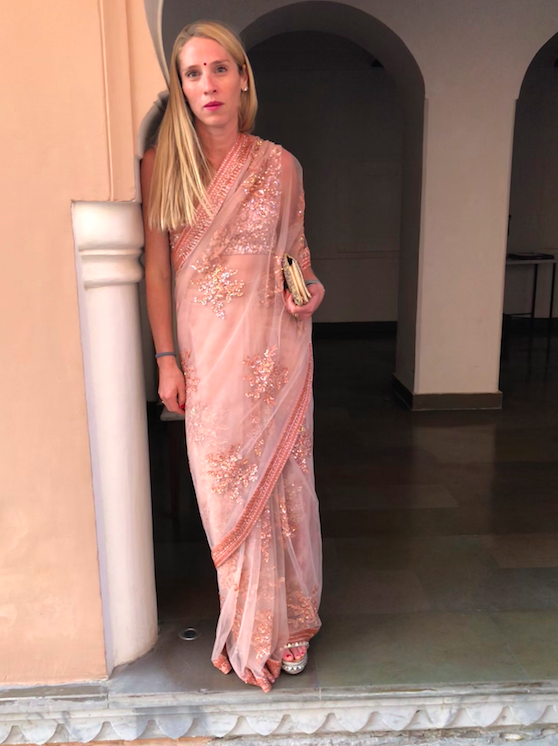 I honestly felt like Belle of the Ball in the sari. It is beyond special, and everything about it is gorgeous. As the saris are so expensive, they are most well known for the wedding circuit. Lots of brides wear Sabyasachi for their wedding or attendants. I feel so fortunate and “in the know” to have had the opportunity to borrow and wear it. To see more of the sari options, go here. The Valentino of Indian Designers, Sabyasachi. This is the top. 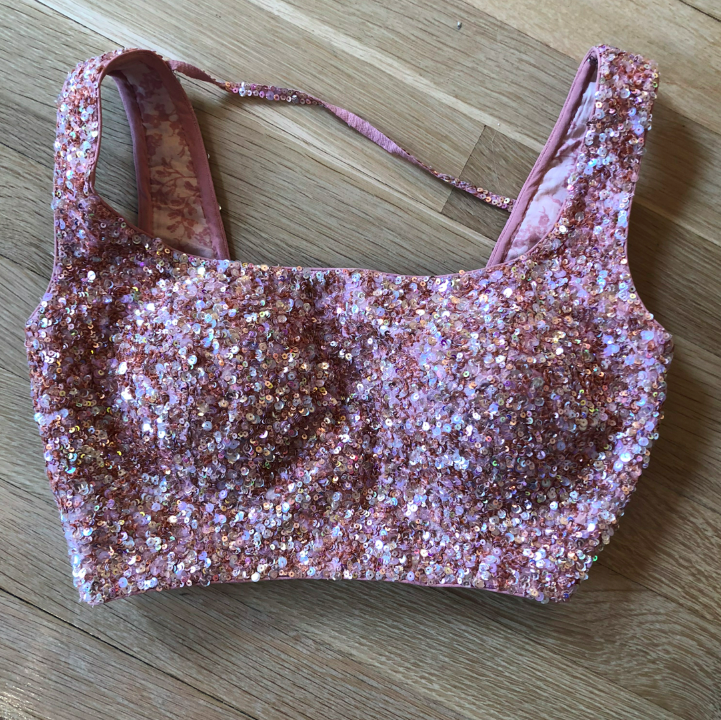 YEP, basically a bra, so my stomach was exposed underneath the see-through covering…. 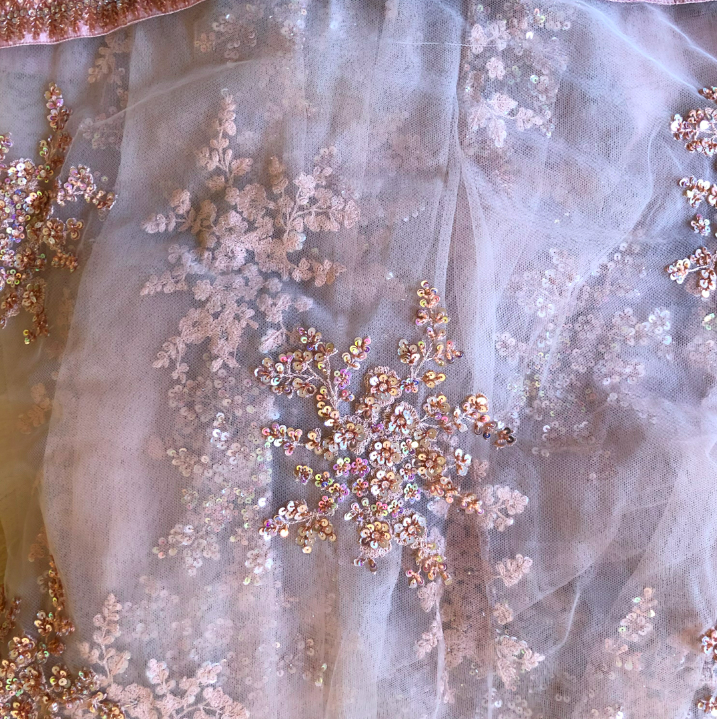 The bottom of the skirt — check out those beautiful details. HOLY COW. 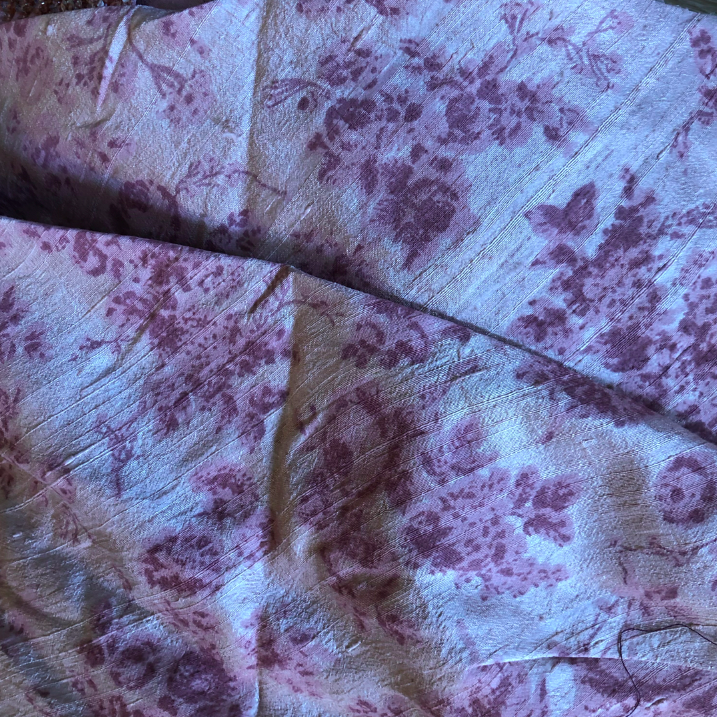 This the skirt base layer — even though no one sees it, it is beautiful nonetheless. 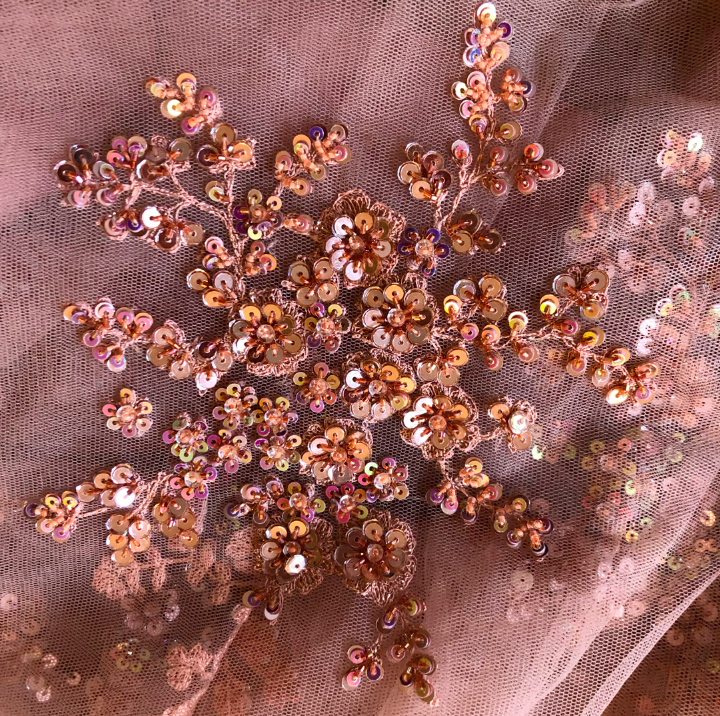 Hand embroidery and beading — a whole new level of appreciation for this craftsmanship. 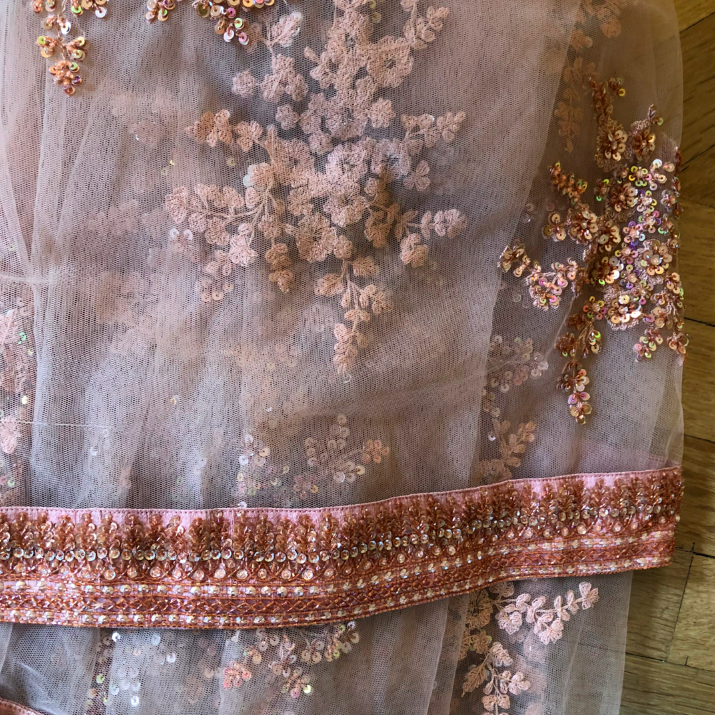 If I were in the market to get a new Indian outfit (I am not, but if I were), then I would 100% buy this one — check out the beauty, my god. 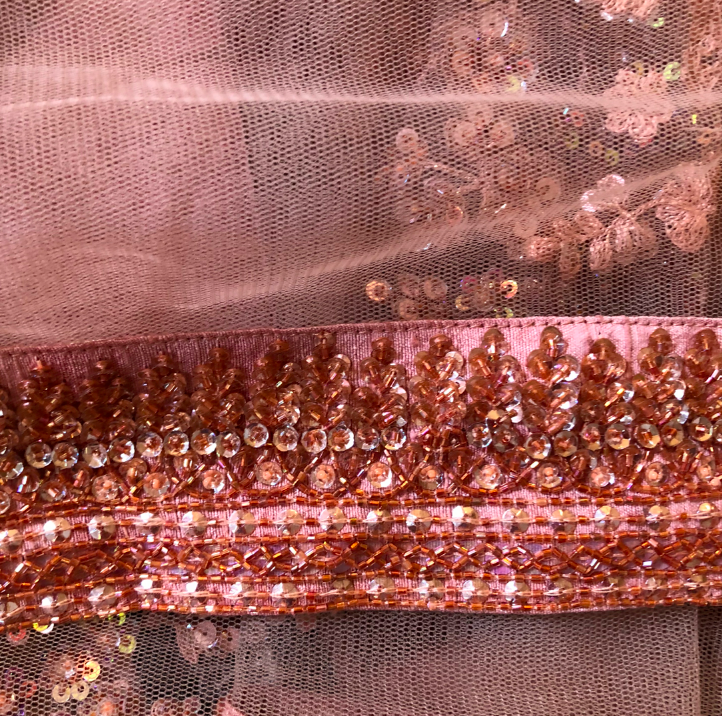 And yes, that is a Lengha vs. a sari — I learned the difference of all these Indian outfits while on our trip. So much to learn! But now, back to the USA and jeans, t-shirts, and sneakers! 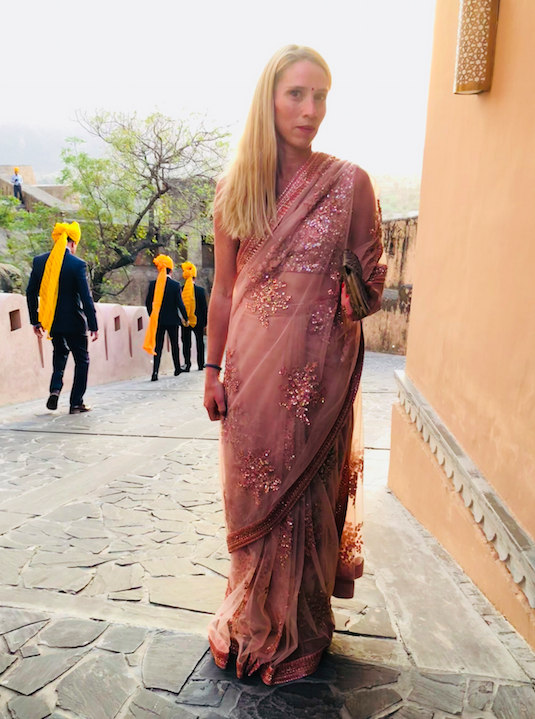 Thank you dear friend for lending me your beautiful sari; I feel so lucky to have had the chance to wear one of his pieces! Truly magnificent. As a bead worker myself, I appreciate the work that has gone into the ensemble! Gorgeous! What shoes were you wearing with this masterpiece? Hello, pretty girl in a pretty sari! I am also interested in shoes, what’s the answer? So jealous you got to wear a Sabyasachi sari!! You look stunning in it and carry it so well.